I attended a car show recently. On my walk through the collection of rare, immaculate, or extraordinary vehicles, I crossed a Lamborghini. I’m not a connoisseur of exotic cars but I do admire fine engineering and flashy paint. I understand that the cost of these cars easily out value the houses that I can’t afford either. I don’t pass judgment on people spending that much money on something as inutile as a sports car. I would do it if it was my lot to do so. I’ll admit it. On this one particular Lamborghini, the license plate is what I found interesting. 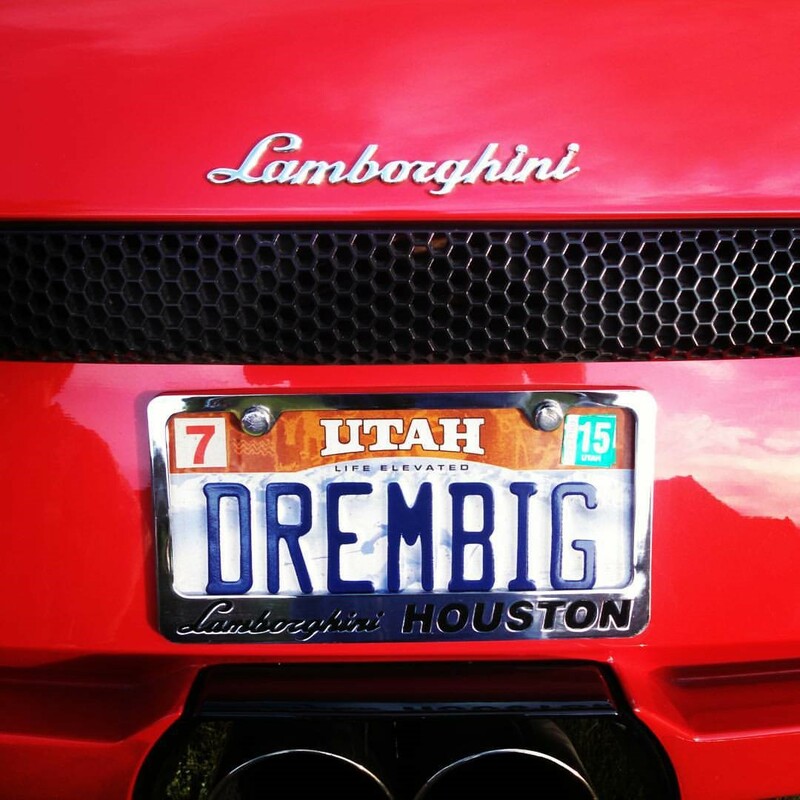 Dream big for me does not mean dreams of a car. My dream is to be debt free, a house suitable to what I need, in a place I want to live, and surrounded by people I love. Some may say this is not dreaming big but it’s huge to me. On my voyage through life, however, I hope plenty of wheeled blessings are included too.